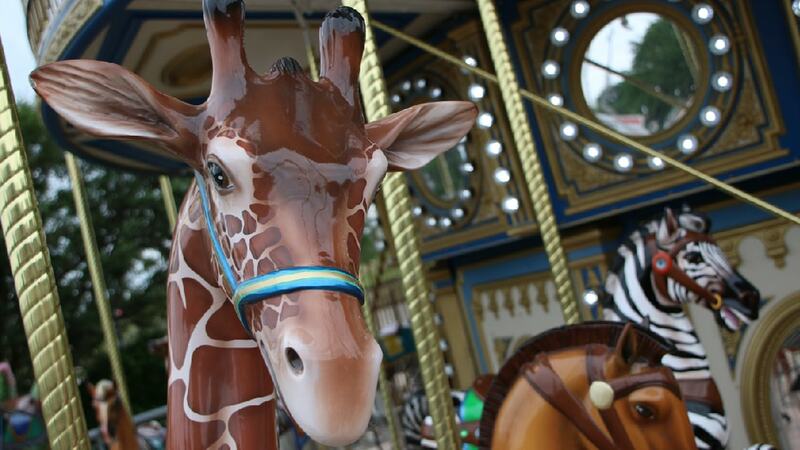 Carousels conjure up the fondest of childhood memories. Come create some more with us! Jump aboard one of the many magical creatures – a giant kangaroo, a sea lion, the majestic tiger or the gorgeous sea dragon, and of course old favorites, like prancing horses, an ostrich and a chariot await, too. 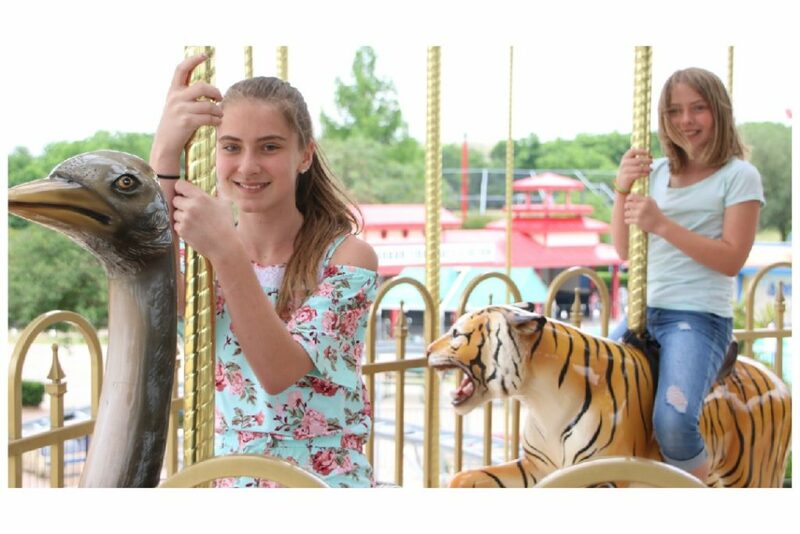 Whatever your choice of creature, enjoy the motion of the ride and the classic carousel music that completes this wonderful family experience. Climb up the stairs to the second story and look out over our beautiful park. Take a picture, announce a special occasion and even a proposal isn’t out of the question. 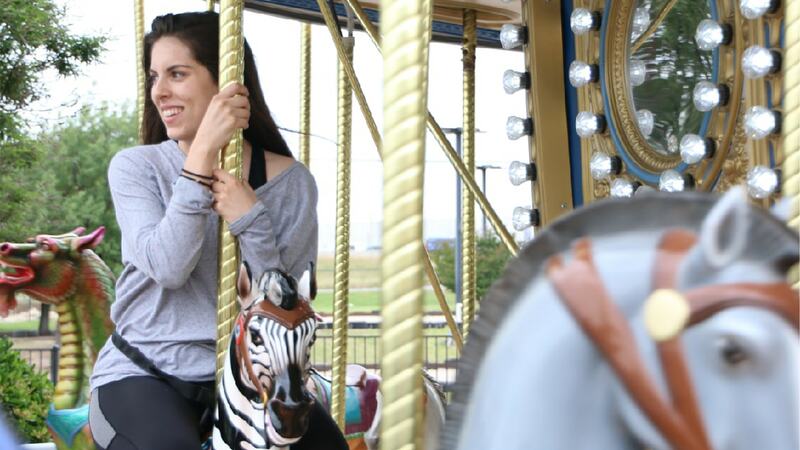 Our carousel is a great backdrop for all types of events. The lights and carousel music will transport you to another time. Grab that special loved one, partner or spouse, the child that has never ridden or just a group of friends – up and down, round and round, laughs and giggles abound. 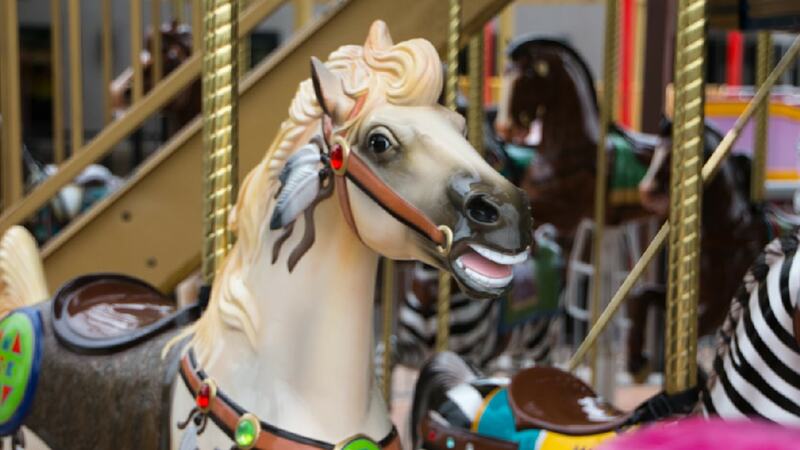 For generations, a carousel has been one of the most magical and cherished rides for young and old alike. We hope to see you aboard and remember the happiest sound in the world is one of children’s laughter!